Melissa Bennett. Supervised by Professor David Lambert and Dr Elizabeth Cooper. Based at Warwick's Department of History and the Yesu Persaud Centre for Caribbean Studies. 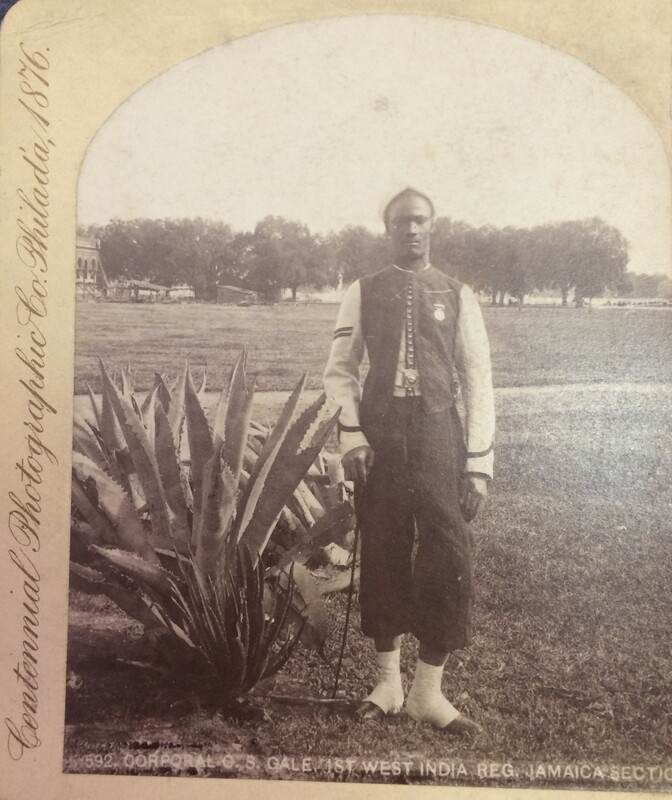 My PhD research project focuses on images captured by and of the soldiers of the West India Regiments with the aim of discovering how these images reflected and shaped ideas about race in the Caribbean. I also use the photographs to learn more about the relationships between those of African and European descent in the Caribbean and West Africa. The period covered by my research project coincides with the beginning of scientific racism for which photography was an important method of documentation and dissemination. Also important to this period was the backdrop of feared and actual racialised unrest. These undertones of racialised thought and racialised violence coincided with the beginning of attempts to refashion the Caribbean islands as picturesque “tropical” paradises, leading to complex portrayals of black bodies and the landscapes they inhabited. This research project will take a broad approach to decipher how the regiments were portrayed as Black military bodies before embarking on a series of case studies. 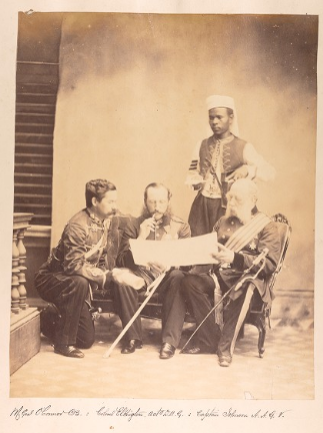 The first case study explores the photographic portrayals of the regiments’ racially diverse soldiers after the rebellion at Morant Bay in 1865, as presented in the William Walker Whitehall Johnston Album and the Alexander Dudgeon Gulland Album. 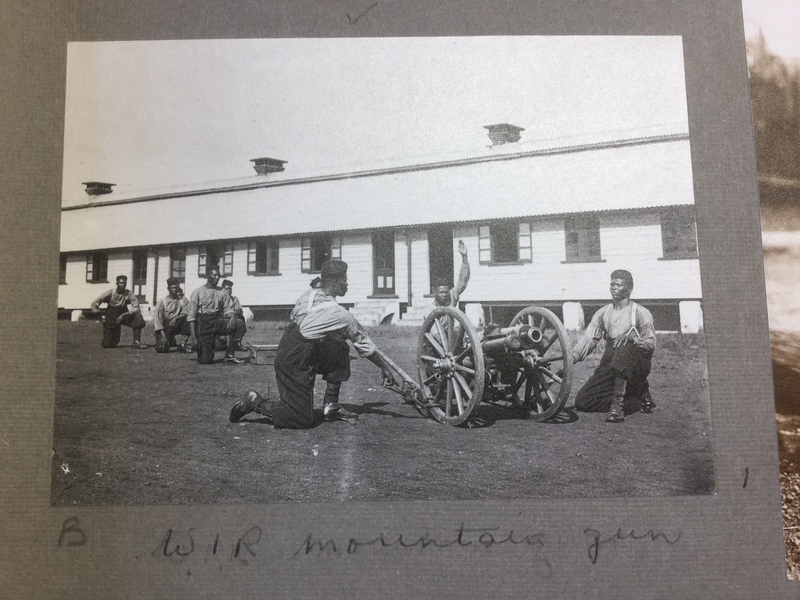 The second case study will look at photographs of the West India Regiments taken during a campaign against the Temne tribe in Sierra Leone by Lieutenant Charles Howard Foulkes in 1898. 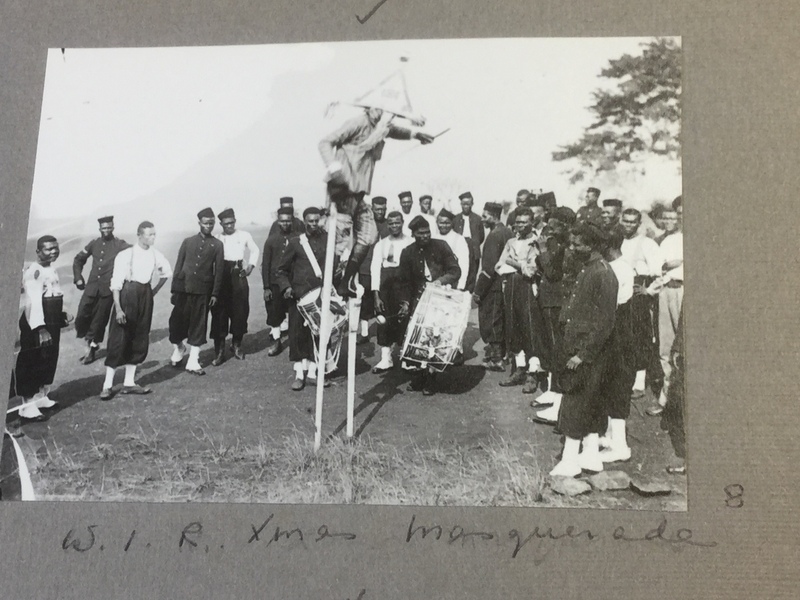 The third case study will look at photographs taken for world's fairs and by visiting tourists to trace the connections between photographs of the West India Regiments and attempts to advertise the region’s landscapes and people to tourists. My research is based on a three-staged analysis of photographs looking at them firstly as visual images, secondly as objects, and thirdly (where appropriate) as commodities that were circulated and exchanged. My sources include photographs produced for a wide range of contexts including personal photograph albums, commercial photographs, and postcards from collections across the UK, USA, and Caribbean. The PhD draws on work on the relationship between photography and 1) empire (Ryan and Schwartz, 2003; Ryan, 1997; Hatfield's 2011 PhD on 19th-century colonial Canadian photography) and 2) tourism (Thompson, 2006; Sheller, 2003). It will also engage with work on the photographic mediation of military forces and warfare - with the US Civil War considered the first major conflict to be extensively photographed (Rosenheim, 2013; Zeller, 2005; Wilson, 1999). Key photographic sources are the Anne S. K. Brown Military Collection, Princeton's Alexander Dudgeon Gulland album, the William Walker Whitehall Johnston Album held at Yale's Beinecke Library, the Sierra Leone Album of Major General Charles Howard Foulkes held at Kings College London, photographs from the National Army Museum's Collection, photographs from the National Library of Jamaica's collection and photographs from Cambridge's Royal Commonwealth Society Library. Broader visual contexts are provided by the British Library's collections and the Library of Congress's US Civil War photographs.